After many contemplative hours in my hammock I have realized that there is an artfulness and athleticism involved in being able to thoroughly enjoy the hammock experience. 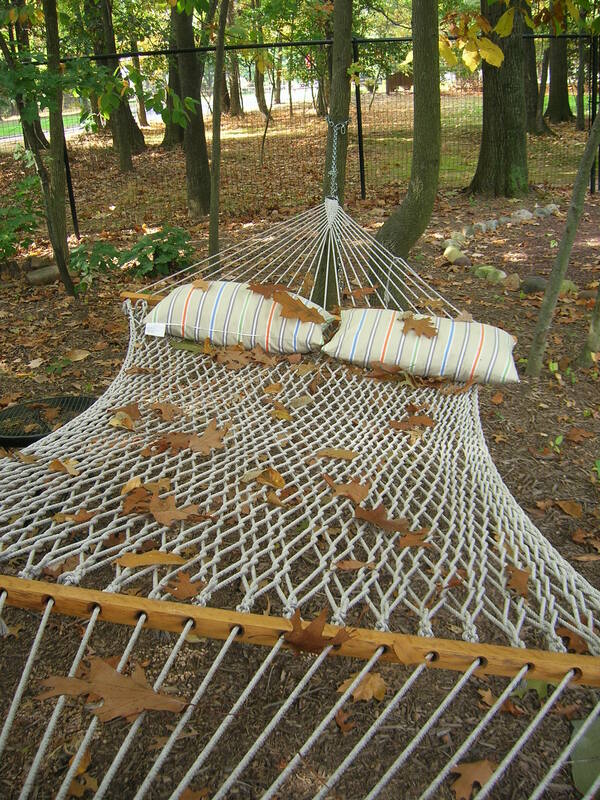 Dictionaries define a hammock as a type of hanging bed made from canvas or cords and supported at each end. I have also learned that there is a tropical hammock. When I saw signs for Curry Hammock State Park near Marathon in the Florida Keys, my mind ran wild. Could there really be a state park devoted to hammocks? 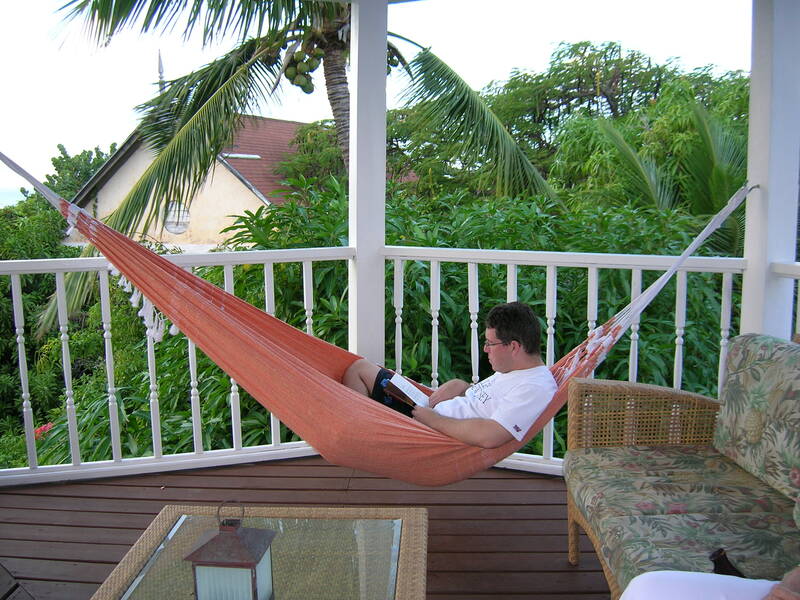 I envisioned hammock after hammock slung between palm trees overlooking the bright blue waters surrounding The Keys. Imagine my shock and disappointment when I discovered that a tropical hardwood hammock is an ecosystem comprised of certain species of trees. Even the fun of repeatedly saying the name of the odd sounding gumbo limbo tree, only offered me a modicum of comfort as we drove out of the parking lot. While dictionaries identify hammock as a noun, we now live in a world where parts of speech merely suggest a word’s usage. I believe hammock has merit to also be a verb. Hammocking has two predominant philosophies: au naturel and faux naturel. My personal preference is the au naturel method which is when the hammock is suspended between two trees set a certain distance apart. The distance will depend on the type of hammock you are using. The benefit of hammocking au naturel is that you will be in the shade and, since you are tied to trees, it is easier to commune with nature. If you want more flexibility than the au naturel method offers, you can use the faux naturel method and purchase a hammock stand. These stands allow you to move the hammock around your yard to sunny or shady locations. The faux naturel method is also an excellent choice for people who don’t have many trees, have immature trees that can’t withstand the weight of an adult or have trees that are too far apart. Either of these methods will allow you to enjoy hammocking. Once you have selected a method and location, you will need some accessories to fully appreciate the hammocking experience. For comfort, a pillow is a must. A long, rectangular pillow works best, but, in a pinch, a rolled up beach towel works quite nicely. In addition to the pillow, you might want to consider a sway mechanism. Since I don’t have the funds to employ someone who will sit next to my hammock and gently rock me while feeding me grapes, I’ve devised a method for self swaying; a sway string. You can create one by tying the end of a length of thick laundry line to a tree that is perpendicular to the hammock. After draping the other end over the edge of the hammock you can gently tug on the string and rock like a baby in a cradle. The sway pole is another option for self swaying. I find this to be less effective than the sway string, but if you are hammocking faux naturel, this may be your only choice. Using a large branch that has fallen from a tree as a sway pole is tempting because it is free, but I can tell you, from personal experience, the dead branch will snap leaving you with a nasty splinter that abruptly ends your tranquility. A PVC pipe or broomstick are sturdier. If you drop the sway pole, DO NOT lean over the edge of the hammock to retrieve it. This may result in an embarrassing and graceless roll to the ground. Now that you understand proper hammock placement and sway mechanisms, it’s time for a pre-nap safety test of the equipment. Always check the hammock’s tension. Sometimes a hammock appears taut and ready for an afternoon of reading and napping, only to sag all the way to the ground the instant you make contact. It is especially important to check the tension of a hammock that is unfamiliar to you like those at a beach or resort. After you have determined that it will support your weight, you are ready to commence relaxation. Keep in mind that there are some hazards inherent with hammocking. Falling out of the hammock is an ever-present danger, so be sure that you are not hanging over any rocks. Nothing spoils an afternoon of serenity more than a trip to the emergency room for a skull x-ray and CAT scan. Animals are another hazard to be aware of. Birds and squirrels can, and will, chew through the hammock’s cords to use this booty to furnish their nests. Check for damaged cords. A hammock can function well with one string broken, but as my husband learned the hard way, two or more damaged strings will eventually break when the weight of a full-grown adult is added and you will drop like a sack of potatoes. There are additional animal related hazards associated with hammocking au naturel. Because you are lying beneath tree branches, birds sometimes unintentionally relieve themselves on you. There is little you can do to avoid the falling droppings. It doesn’t happen often, but you must be mindful of the possibility and keep your mouth closed at all times. As fall approaches, a concern more common and more painful than bird excrement is acorns. Squirrels will sit on branches directly above the hammock and pelt you with acorn shells and caps. This is irritating, and if it continues, you will be forced to abandon the hammock until the squirrel vacates the area. The final hazards worth mentioning are food related. Reaching for food or beverages while in the hammock can cause your weight to shift suddenly resulting in you being dumped on the ground while simultaneously spilling the food or drinks. This may be injurious to your body or pride. In addition, common sense dictates that you should never swallow anything while lounging in the supine position. This is a choking hazard and removing your body from the hammock to perform the Heimlich maneuver would be difficult for your rescuers. On days when the temperatures are sweltering you may feel that you won’t be able to partake of your hammock. That doesn’t have to be the case. 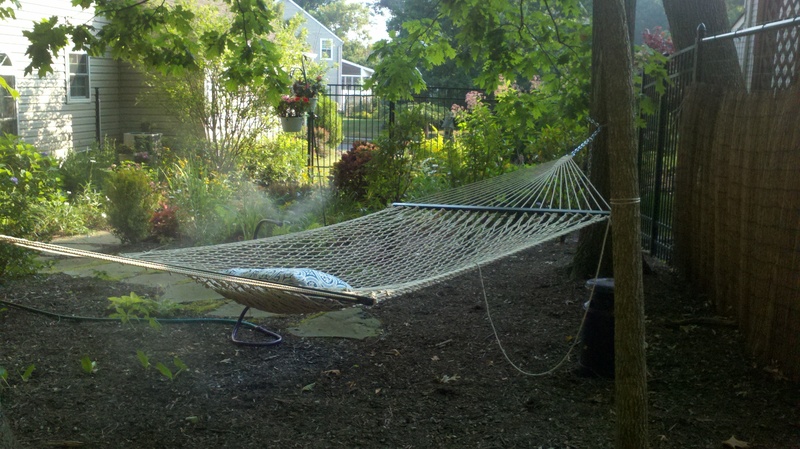 With a garden hose, sprinkler or mister you can wile away the hours in your hammock in complete comfort. This makes hammocking a joy on even the hottest days. Simply put on your bathing suit, turn on the sprinkler and get into the hammock. Water will coat your skin leaving you glistening and cool as you gently sway from side to side. Using a sway string and a water mister enhance the overall hammocking experience. Getting into the hammock, balancing your weight and adjusting the pillow involve a considerable amount of athleticism. You should never flop gracelessly into a hammock. A friend once did this and instantly turned S hooks into question marks which seriously compromised the hammock’s suspension. He hit the ground in the blink of an eye. To properly enter a hammock you should stand with your back to the center, squat like you are about to sit in a chair, grab the edge and then just simply sit down. Very quickly, with one fluid movement, fling your legs toward the center of the hammock while twisting your torso and adjusting your weight to the center. The pillow will flop around as you do this. Don’t worry about its placement until you are completely stable. This type of hammock is for relaxation purposes only. It is not a sport hammock. Entering and exiting require a modified technique. Holding items in your hands during the entry process adds a degree of difficulty which increases based on the items you are holding; liquids are more difficult than solids, hot liquids are more difficult than cold and holding items in both hands, like a bowl of popcorn and a tumbler of iced tea, rates the highest degree of difficulty. Beginning hammockers should not attempt the entry technique with anything in their hands until they have demonstrated mastery. Once in the hammock, you may find that as the sun moves across the sky it begins to shine into your eyes making reading a challenge. Experienced hammockers can change position or sides without exiting the hammock, but it is a risky move for even the most proficient individual. This maneuver involves kneeling in the center of the hammock, gripping the ropes and using the core muscles to balance while the hammock wobbles wildly from side to side. Be prepared! The hammock may flip over during this procedure and you’ll find yourself clinging to its underside, inches from the dirt. At this point, it is time to concede, make sure you have a safe drop zone and let go. You might think it would be easier to get out of the hammock and re-enter facing the other direction. While that is the preferred technique for a beginner, there is no sport in that for those with more advanced skills. Eventually, the time will come when you will need to go to the bathroom or the sun will set and mosquitoes will begin feasting on your flesh. You’ll have to exit the hammock. Your dismount should be graceful. Do not swing back and forth then launch yourself hoping to land on your feet. Initially, you may land in an upright position, but momentum will cause you to pitch forward and nosedive into terra firma. To perform a proper dismount you’ll need strong quadriceps and good technique. Sit up in the middle of the hammock and swing your feet over the side. Tilt the hammock back until your feet are on the ground and then stand up as if you are getting out of a chair. Do not try to push yourself up from the hammock, especially if it is a rope hammock. Your hand will slide through one of the spaces between the ropes and you’ll become entangled. You may even need assistance untangling yourself because you’ll be laughing so hard that it will be difficult to control muscle movement. Once you have successfully dismounted the hammock feel free to throw your arms up over your head like an Olympic gymnast. I find it adds a touch of panache. Hammocking may look lazy and inactive to some, but there is an artfulness and athleticism to a happy hammock experience. As in any other sport, when the athlete’s performance seems effortless it is because the athlete has trained diligently. In my day-to-day life I don’t exhibit grace or agility, but when it comes to hammocking, I have an innate gift. If hammocking was an Olympic sport, I’d be a gold medalist. Perhaps I should petition the International Olympic Committee to have it added as a competitive sport for the London 2012 games. Until then, I’ll just have to keep training. When leaves fall, hammock season is over. Posted in Uncategorized and tagged hammock, humor, life, relaxation. Bookmark the permalink. I have got to stop reading for posts when people are about. This laughing out loud and the whole eyes welling up as a giggle is suppressed is not helping my plea that I am indeed still sane! I should’ve read your post years ago when I lived somewhere that had a hammock mounted on a balcony up high amongst the trees. ! I had many embarrassing moment of tumbling out, or not being able to swing my legs up, never mind dismounting afterwards. I never mastered the technique, sadly… though I did gaze jealously at those of my visitors who had no such balance and limb-synchronization difficulties. Definitely! I shall bear that in mind! A very good guide to “hammocking”….your writing is so good and funny, as usual !!! ps….we both love hammocks !!! What’s not to love about hammocks? We now have two so that we don’t have to take turns sharing. 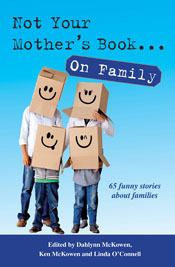 Thanks for the compliments and thanks for reading! So glad you could make a connection with the topic. Anyone who has spent any time in a hammock has spent some time face down in the dirt beneath it; all part of the learning process. Thanks for reading! Maybe we can make some sort of training hammock for you and line the ground surrounding it with bubble wrap and air mattresses. Thanks for reading! Very enlightening and amusing. Now for sure I’ll never plop down in anything other than my lounge chair! I’m sure that even when you plop down in your lounge chair you will be graceful and elegant. Very well written – this is the most comprehensive guide I’ve seen for beginners in the hammock arena. Gumbo-limbo, gumbo-liiiimbo, guuuumbo-liiiiimbo. See? Gumbo-limbo IS fun to say over and over. Always entertaining!! Rnning those mental images through my mind gives me a smile for the whole day! Well done Paprika! So glad the imagery made you laugh. Thanks for reading! The Drive-Thru and the Hammock blogs were hilarious! Loved them both! Being a hammock observer – because my husband does not share – I can appreciate these delicate maneuvers!! You make hammocking sound divine! You should start a hamoockwear line, the perfect clothing for the optimal hammocking experience. Hammocking is divine. Hmm… a clothing line? Maybe, after I win my Olympic gold medal, I can get some endorsements, lay in my hammock wearing advertisements and be paid. Now that would be the life! Thanks for reading!